Growing up on O'ahu's North Shore, Reo Stevens wasn't one to stay on the beach when the trades were up. By age 8 he was carving turns on a windsurfer, and at 13 he progressed to kiting. "I was swimming for my [windsurfing] gear after I fell on a wave when a kitesurfer jumped 20 feet over my head," he says. "I was amazed. I had to do it." With plenty of big surf in his backyard, Reo quickly became one of the most recognized waveriders in the kite world. 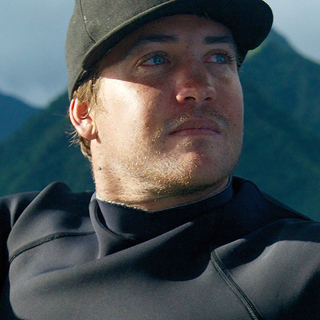 While chasing wind and waves to places like Fiji, Tahiti and Western Australia, he also managed to complete a BA in Economics in 2011 at the University of Hawai'i. These days, he's kiting full time and documenting his travels through words, film and photos.